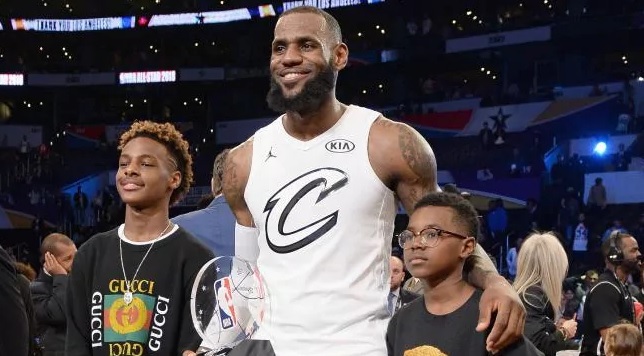 LeBron James’ oldest son, LeBron Jr., is already winning titles. He’s more present in the media than many (most) NBA players. He may only be 14-years old, but is already drawing attention from Kentucky and Duke. Sure, the hype wouldn’t be close to as big if his father was a regular man, but his father is the greatest active basketball player on the planet, so the hype generates itself. But for this stage, high-school and AAU level basketball, the hype is too big. A recent game of Bronny had to be canceled due to security concerns. The small gym quickly became too crowded and the game had to be called off. Tags: LeBron JamesLeBron James Jr.